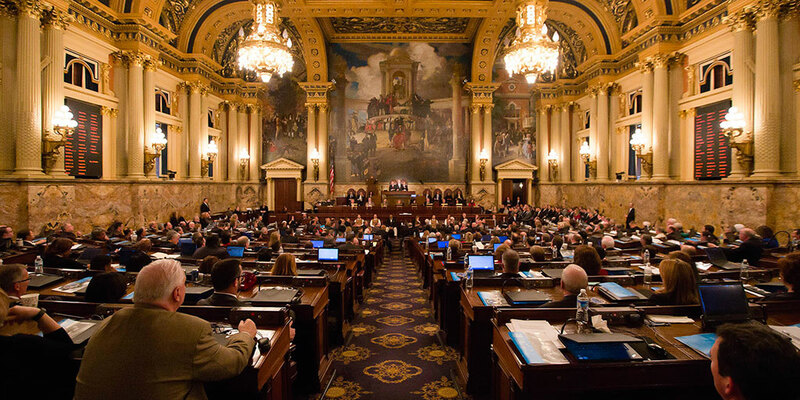 Harrisburg, PA – Today, Governor Tom Wolf respectfully requested a Joint Session of the General Assembly at a time that is convenient for the House and Senate this fall. The purpose of this session would be to address the members of the House and Senate about our collective efforts to lead the nation in combatting the opioid and heroin crisis facing Pennsylvania. Together with the legislature, the Wolf administration has made great strides in battling this epidemic. The 2016-2017 budget provided funding to implement 45 centers of excellence (COE) throughout the commonwealth that will treat nearly 11,000 people with substance use disorder. These centers will work with those suffering from the disease of addiction to make sure they get the comprehensive, holistic treatment they need to beat their disease. Last month, the Pennsylvania Department of Health went live with the newly re-designed Prescription Drug Monitoring Program that will allow prescribers and dispensers to query and report information regarding the number of opioids prescribed, and to whom. The administration also recently announced new prescribing guidelines for the safe and effective use of opioids in order to reduce the pattern of over-prescribing painkillers that have a high risk for abuse. These guidelines will help fight back against opioid abuse and heroin use before those habits even begin. Under the Pennsylvania Department of Drug and Alcohol Program’s leadership, Pennsylvania’s Prescription Drug Take-Back Program is helping communities properly dispose of unused and unwanted prescriptions. To date, there are nearly 520 take-back boxes located at police stations across Pennsylvania. Since 2015, more than 145,000 pounds of prescription drugs were taken back and destroyed. Substance use disorder affects people all across the commonwealth and that is why the search for effective solutions enjoys broad bi-partisan support. Together with the legislature, Governor Wolf will continue to fight to make sure Pennsylvanians have the resources we need to get our arms around this crisis.